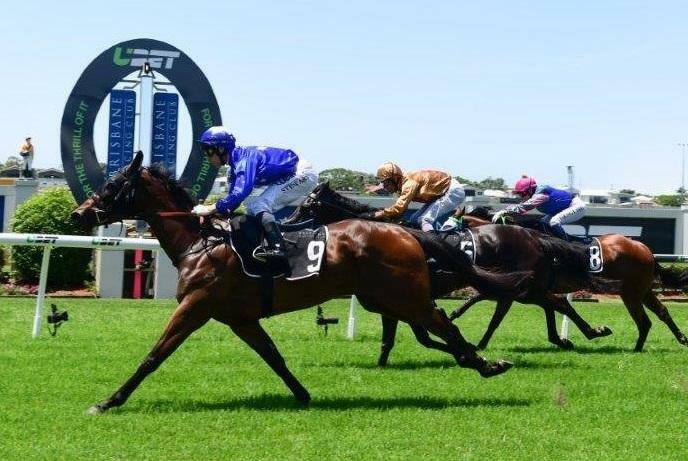 Consistent mare KEEP YOUR ROSES will be looking to break a string of third placings when she lines up in tomorrow's Class 2 Handicap (1200m) at Ipswich. The Love Conquers All mare has been knocking on the door this preparation, recording four consecutive third placings at Toowoomba, Ipswich, the Gold Coast and Sunshine Coast. The stable also has several other runners entered for Ipswich as well as tomorrow's Kilcoy meeting. TRAINER COMMENTS: "It looks to be a nice race for him. From the draw, I'd expect he'd be on the speed and if he's good enough, he's there to win the race. He's very fit now and starting to drop his coat so I'm a lot happier than I was with him first-up. I'm sure he'll improve again after tomorrow once he gets out to a journey even longer." TRAINER COMMENTS: "It looks a race that will suit her very well. There looks to be good speed inside her which should mean she'll get a nice run on the fence behind the leader and if she can produce the run she did at Caloundra, she's certainly going to be strong to the line. Hopefully she can break through for a well deserved win for us." TRAINER COMMENTS: "I did consider the race at the Gold Coast, however, the Ipswich race looks a better option for him. If he begins well, he'll roll forward to be on the speed somewhere. I think coming back to the 1350m off a freshen up is ideal for him as I'm convinced that after the way he ran at Beaudesert that the mile is bit out of his reach. So this looks a nice race for him and I'm expecting him to race well." TRAINER COMMENTS: "From the good draw, I would expect Beau to use his barrier to his advantage and ride him positively. He's done very well and is fit and healthy so I couldn't be happier with him going into tomorrow."